A good rule of thumb is that if it is good enough for James Bond then it is probably good enough for you. Bond has been driving Aston Martin since he first appeared over fifty years ago and there is a reason for that. They are the perfect blending of sizzling performance with stylish looks unlike any other car on the planet. 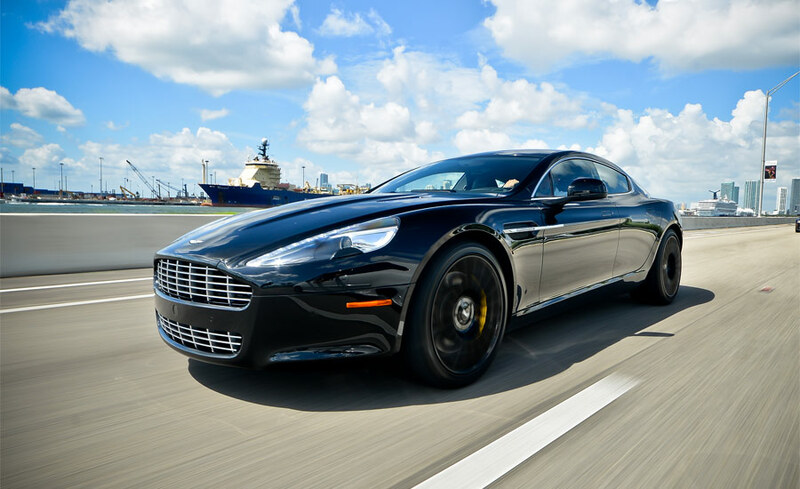 The combination continues to this day with the Aston Martin Rapide, a car so distinct that no matter where you take this luxury car services, you can be sure that no one there will have a car that even comes close. Sleek and low to the ground, it cuts through the air with a profile designed both for beauty and performance. The interior is equally stunning and compatible, with a richly finished interior augmented by the latest in technology to make the driving experience as enjoyable as possible. Under that sleek hood sits an engine and performance package created to give you a superior ride with all the power that you need when you need it. Let Elite Luxury Services and the Aston Martin Rapide give you the opportunity to play secret agent for a day.